Wherever you are on the path to 1:1 teaching and learning, you need a guide that can help you make the best use of the powerful technology available in today's classrooms. 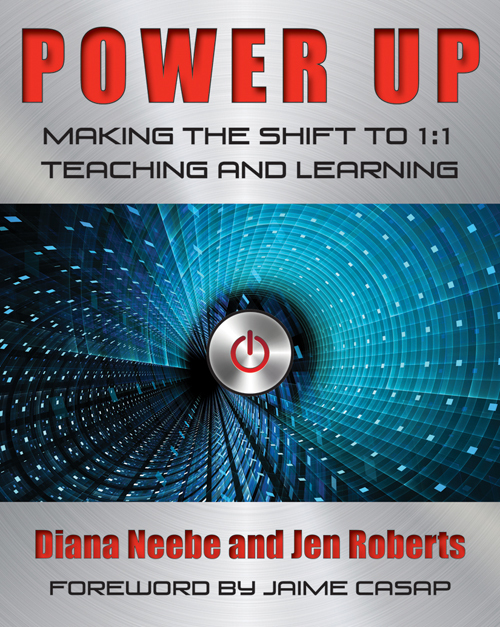 In this inspiring and practical book, Diana Neebe and Jen Roberts draw on research and their extensive experience working with teachers across subject areas and grade levels to share the keys to success when teaching with a computer or tablet for every student. This is the book secondary teachers need to understand the changes in pedagogy, planning, classroom organization, time management, and collaboration that will help them be successful in a 1:1 environment. Whether providing immediate and detailed feedback to student writers, giving voice to quiet learners, or creating more time for actual work in a jam-packed school day, Neebe and Roberts show teachers how communication, differentiation, and other effective practices can be powered up with personalized technology. Throughout the book, Neebe and Roberts coach teachers through their initial concerns about technology integration, offer advice about avoiding common problems, and encourage innovation. Using detailed classroom examples, questions, and suggestions, they provide a framework for shaping the transformation of a traditional classroom into a student-centered, technology-rich learning environment. Readers will come away with a clear sense of how a fully implemented 1:1 classroom operates. Staff developers can use this book as a long-term program for teachers who are adapting to 1:1 classrooms. They also can draw on the companion study guide for additional discussion questions and prompts. Power Up makes the transition to 1:1 a manageable and exciting journey. It's a key part of supporting teachers and ensuring the success of your 1:1 program. Diana Neebe (@dneebe) teaches high school English with 1:1 tablets at an independent school in California's Silicon Valley. She was named the ISTE Outstanding Young Educator in 2014 and is a Google Certified Teacher. She is currently working on a doctoral degree in education. Jen Roberts (@JenRoberts1) teaches English at a large public high school in San Diego, California. She has more than twenty years of classroom experience and has been teaching with 1:1 laptops since 2008. She also teaches preservice teachers and is an active member in the Google Certified Teacher community. Chapter 1: We Have 1:1; Now What? "Can We Skip Lunch and Keep Writing?"